Can I take a child? Can I navigate with my dog? Is a deposit required to secure the boat hire? What happens to the deposit once it has been handed over? If no deposit is given, what happens in the case of breakages or the loss of rented material? Can I cancel my trip because of rain? How much notice should be given for a cancellation? What happens if we volontarily arrive after 18h ? Yes, all participants must be able to swim 25 m and to feel completely comfortable when totally immersed in water. Our life jackets help you to float, but in no way replace the required abilities mentioned above. New: the Canöes du Ried propose canoe trips supervised by monitors. It is possible to communicate the required swimming test results for the groups prior to the outing. Yes, provided he or she is at least 7 years old, knows how to swim and is at ease underwater. Quick-drying light clothing (material used in sportswear). Enclosed shoes throughout your trip. Depending on the weather forecast, don’t forget sun protection (cream, glasses with a cord so you don’t loose them, hat etc.) as well as a sweatshirt and wind-proof clothing. No. Depending on the period (season, nesting…), we recommend adapted areas where you can stop. They cannot be allowed to roam free on the Canoës du Ried site. They must be kept on a leash, unless the management grants permission (animals are present on the site). Whilst in the canoe, the dog should not be wearing a harness, a collar or a leash to avoid any risk of the dog drowning through being trapped in the branches. This presupposes that the dog owner is capable of navigating with an unattached dog in the boat. he Canoës du Ried periodically organises training courses in partnership with Sélestat Kennel Club to help you prepare your holidays or navigation in general with your pet. 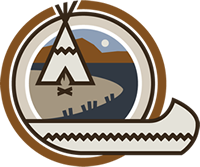 Reservations which include furnished bivouacs («Indian camp»). New: Following widespread abuse (breakages, theft, degradation), a deposit will be requested when an inventory of the accommodation is drawn up (€500). Deposits are designed to avoid abusive reservations; they should be in the form of cheques and are only cashed in the event of an “abusive cancellation”, less than 5 days before the scheduled reservation date (see “weather” for further information). For furnished bivouacs («Indian camp»), the rental contract, with its inventory, sets out the lump sums due in the event of breakage or degradation. Yes, under certain conditions. Our aim is to get you to practice a recreational activity. We understand that practicing the activity in the pouring rain does not correspond to your expectations. With this in mind, we made the choice of allowing cancellations which may be justified by rotten weather forecast for the whole day, as long as it is not abusive (there must be a bit of give and take on both sides). You may cancel for any reason five days before the scheduled reservation date. Following several recurring late arrivals, EURL Tib’tourisme has decided to charge all deliberate late arrivals 77 euros (excluding tax) by the hour.